I haven’t taken the time to do the full-blown Amazon Kindle Wi-Fi review yet – although there are plenty of such reviews on the web already. But I wanted to mention a very important feature I’m really enjoying on my new Kindle Wi-Fi – the battery life. 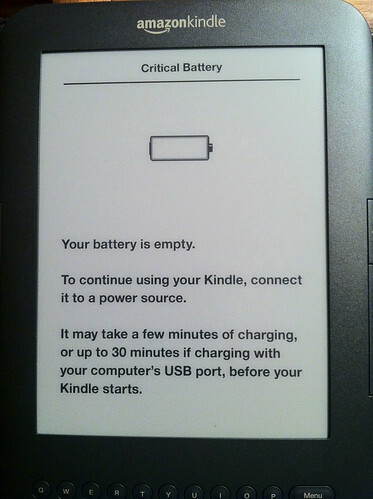 Last night my Kindle finally ran out of battery. This is after being left on with wireless (Wi-Fi) on since first receiving it on August 27th. So basically twelve days of being left on with Wi-Fi on plus some use of the built-in light on the Kindle Cover! 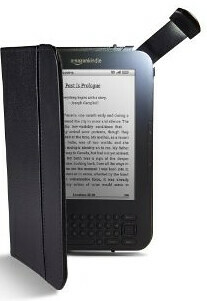 That’s pretty good and extremely useful for traveling with your Kindle. Amazon claims the battery life is up to one month with wireless off – and I haven’t tried that yet, but it’s obvious that the battery life is pretty good.